So, hoomin, are you ready to plant some clover? PS: Ken says, "She was rescued from a park near our home by my wife and me. She was not afraid of humans yet so we think she was recently abandoned when we found her. Dublin is safe and a member of the Desert Warren." She knew instinctively that she should reach out to you. 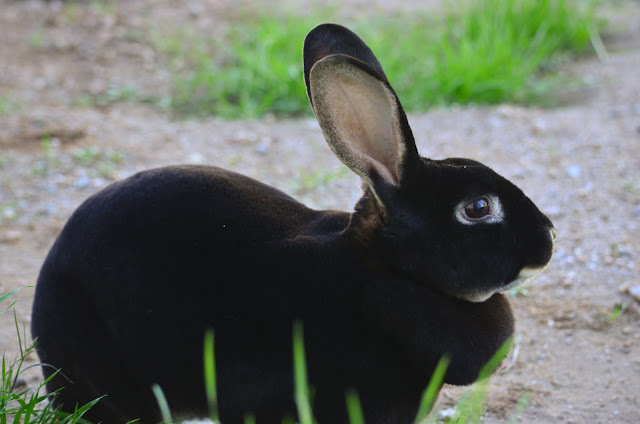 What a lovely black velvet bunny.